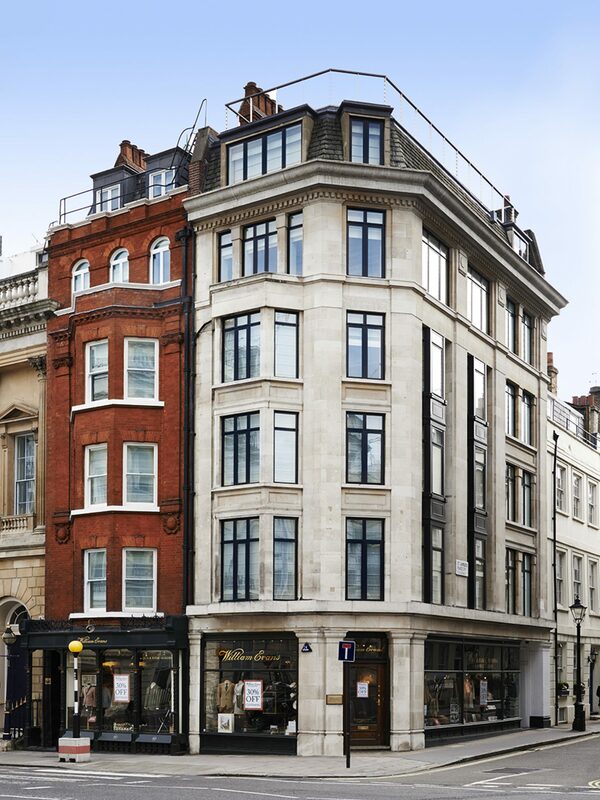 MoreySmith has creatively navigated the change in levels between the two buildings, enhancing original features where possible. 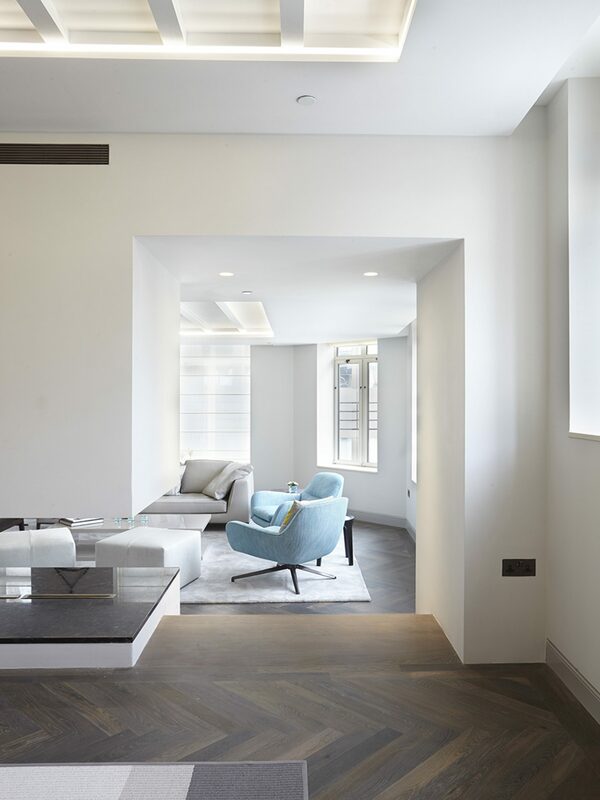 The project was a complete strip back to the shell, removing all the floors, stairs and windows. 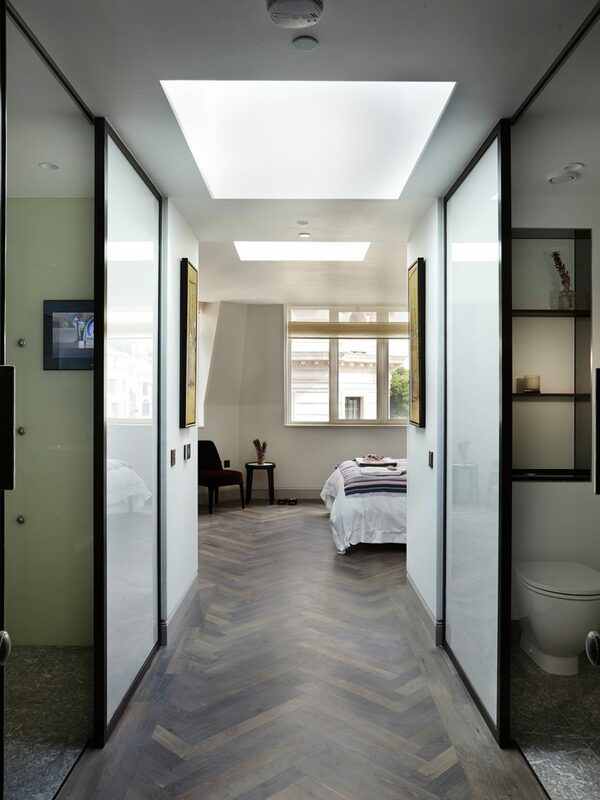 The natural light is maximised through using skylights and light diffusing glass doors. 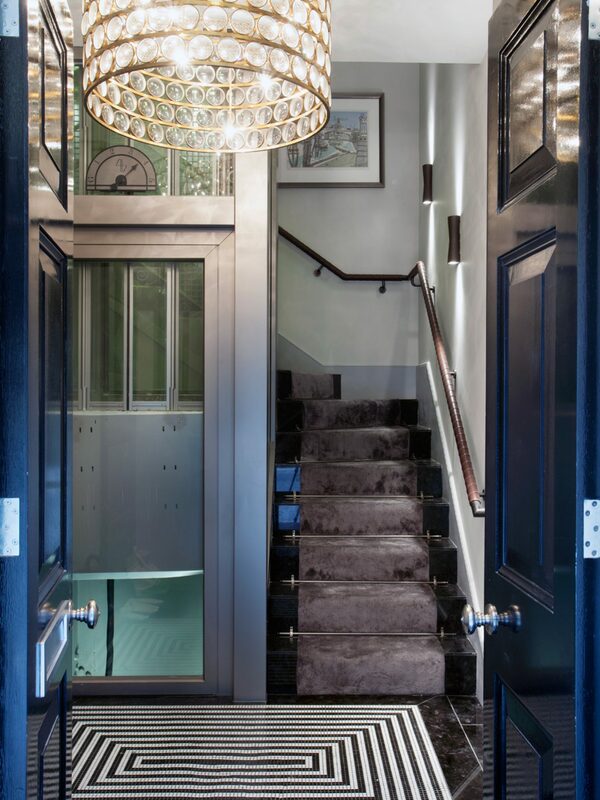 Attention to detail is apparent throughout the building, a luxurious high gloss lacquered front door compliments the elegant brass and glass chandelier reflecting light onto the silver horsehair wall panels in the entrance hall. 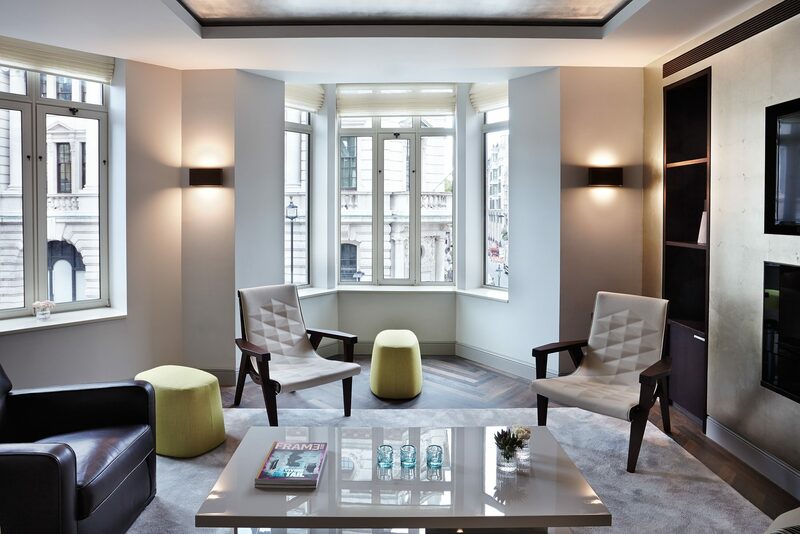 The handrails and door handles throughout are enveloped in tactile leather and parquet timber floors are laid in a contemporary herringbone pattern. 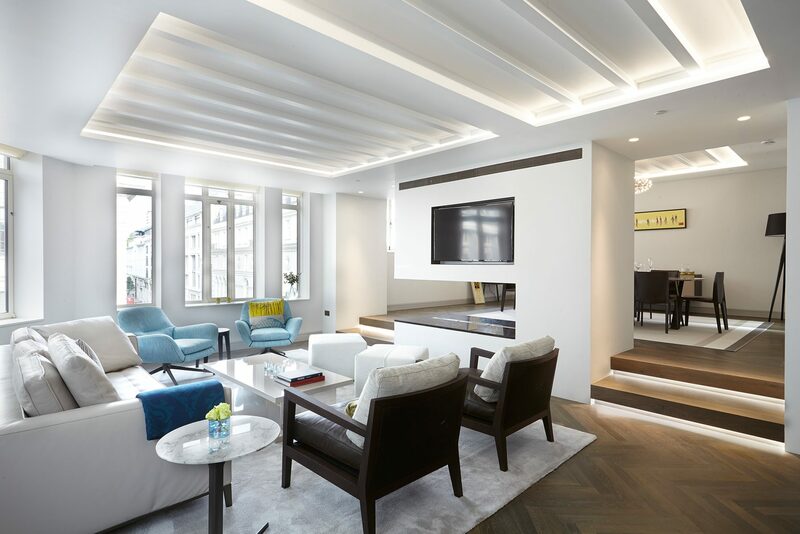 MoreySmith’s space-enhancing design ensures each home has an open living space with fantastic views down St. James’s Place. A dramatic penthouse crowns the building. 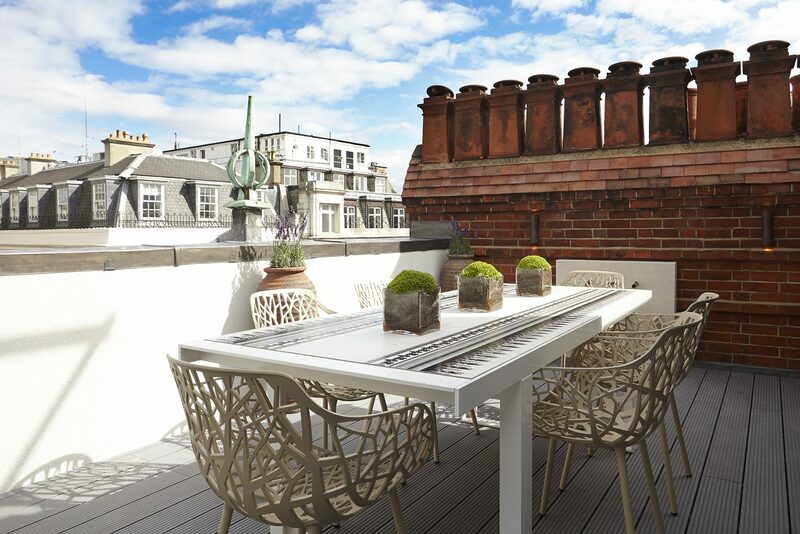 Spread generously over three floors and is enhanced by a sky lounge roof terrace with bar and dining space overlooking Green Park, St. James’s Square and St. James’s Park.